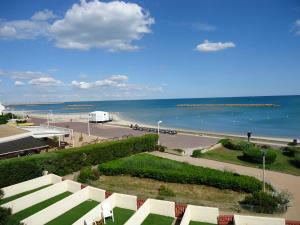 Hotel Le Bon Port price per day from € 300 . Apart'Hôtel Les 4 Sources price per day from € 159 . La Fénière price per day from € 180 This B&B breeds chickens and is home to many other animals. The guest rooms come with a seating area and a private bathroom with a bathtub or a shower and free toiletries. Avignon Train Station is 38 km away, while access to A7 Motorway is possible 15 km away..
Lagrange Confort+ L'orée Des Cimes price per day from € 38 . 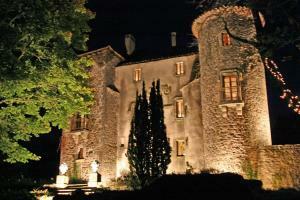 Domaine Bellelauze price per day from € 150 . Mas Flores de Llum price per day from € 120 . Bed & Breakfast Le Beauséjour Featuring a large garden with an outdoor swimming pool and a furnished terrace, Le Beauséjour is located just 2 km from the Medieval city and 4 km from the centre of Carcassonne. Each room is individually decorated and includes a private bathroom fitted with a shower. 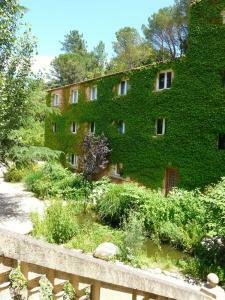 Carcassonne Train Station is 6 km away and Carcassonne Airport is at 8 km..
Grand Hôtel de la Muse et du Rozier price per day from € 95 Le Grand Hôtel de la Muse et du Rozier is located in the heart of the Gorges du Tarn. The Grand Hôtel de La Muse et du Rozier offers 36 rooms and suites on its 4 floors, with elevator access. If you're one for the beach, there's no need to go any further. Hôtel Central price per day from € 71 . Château de Gramazie price per day from € 85 . Villa Thermae . Pont du Gard . Mar I Sol Logis price per day from € 69 . Carcassonne. 93+ accommodation units ! Collioure. 127+ accommodation units ! Gruissan. 141+ accommodation units ! La Grande Motte. 194+ accommodation units ! Le Barcarcs. 48+ apartments ! Le Cap D'agde. 220+ apartments ! Le Grau-du-roi. 155+ apartments ! Narbonne-plage. 129+ accommodation units ! Saint-cyprien. 80+ apartments, 35+ villas !